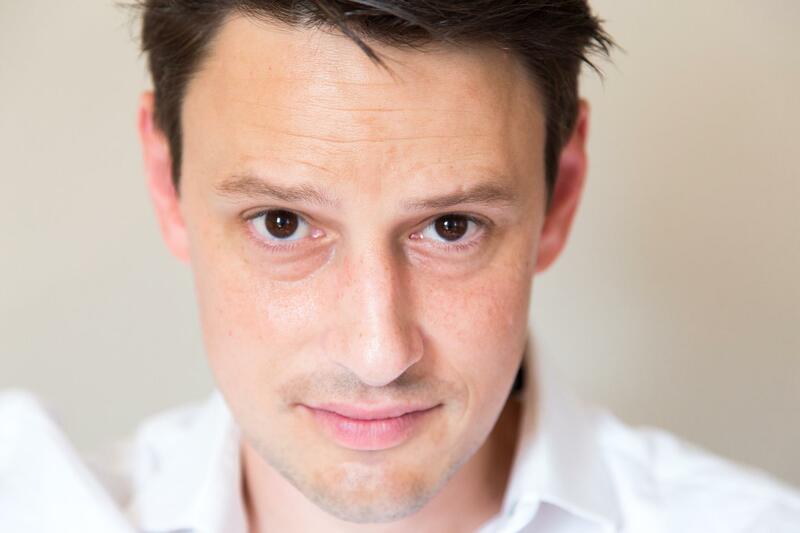 Writer, teacher, and editor, Stevan Allred’s debut novel, The Alehouse at the End of the World, was published by Forest Avenue Press in November 2018. Since then, the book has exploded, recently hitting #4 on Powell’s bestseller list. Allred claims he has survived circumcision, a tonsillectomy, a religious upbringing, the 60’s, the War on Poverty, the break-up of The Beatles, any number of bad haircuts, years of psychotherapy, the Reagan Revolution, the War on Drugs, the Roaring 90’s, plantar fasciitus, the Lewinsky Affair, the internet bubble, the Florida recount of 2000, the Bush oughts, the War on Terror, teen-aged children, a divorce, hay fever, the real estate bubble, male pattern baldness, and heartburn. 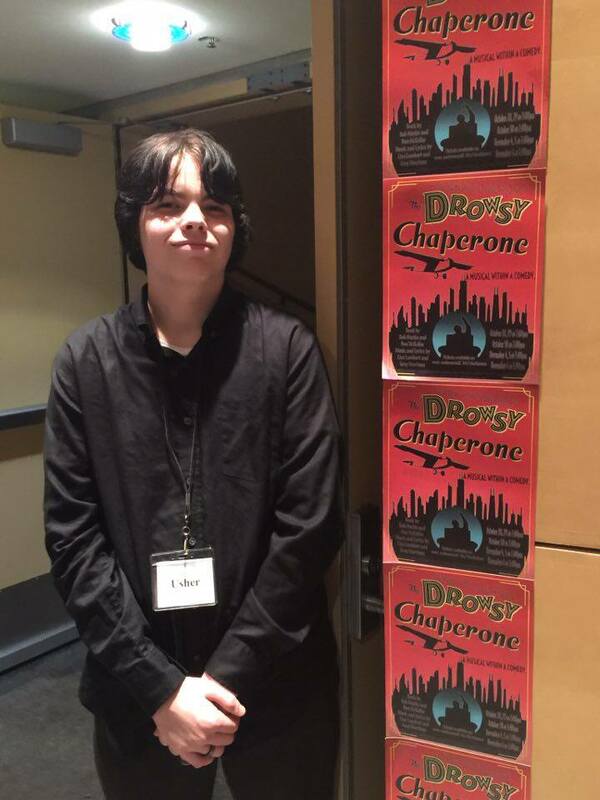 He has twice been nominated for a Pushcart Prize. A prolific writer, Allred’s work has appeared in numerous literary publications. He’s witty, talented, and hard-working. Here are some things you may not know about him. I got my first creative writing assignment in 5th grade, from Mrs. Bumgardner. Mrs. Bumgardner was one of those special teachers who changes your life, and even though I didn’t have the perspective to know that at the time, what I did know was that I adored Mrs. Bumgardner. She had me stand up and read my piece to the whole class, and she laughed at what I had written. Really laughed, not just being polite. I knew right then and there that making Mrs. Bumgardner laugh was exactly what I wanted to do in life, and writing was the way I could do it. I take note, these decades later, that performance is involved in this story. I had to stand and deliver, and I got a nice response. To this day reading my work aloud to an audience, even an audience of one, is one of things I enjoy most in life. 2) What is your writing routine? How do you discipline yourself to keep at it? I write early in the morning. I like the quiet. I like being up before dawn. I know that showing up is the one key thing that leads to any writing happening at all, so I show up. That said, I allow myself some down time when I’ve finished a big project, and I don’t beat myself up if it takes some time before I’m ready to write again. As many as it takes. I have written short stories that took two, or three, or four drafts to complete, and some that took eight or ten. I did three major drafts of my novel, The Alehouse at the End of the World. 4) What was the best thing that happened with regard to your writing career? The worst? Best thing: having my first book, A Simplified Map of the Real World, published by Forest Avenue Press has to count as one of the best things, and now, with The Alehouse at the End of the World, I am the press’s first “repeat offender”. Worst thing: I learned a long time ago not to dwell in regret. Don’t keep a list of the worst things–let the worst things go. 5) What part of your job do you love the most? Hate or dislike the most? The hours I spend writing before the sun comes up are some of the best hours of my life. I try to find something to like about every single aspect of the job, and when I am vexed by some part of it, I remind myself how lucky I am to be living a life in which writing is important. I was raised to be modest and to not call attention to myself, so the publicity and marketing side of being a writer makes me a little uncomfortable at times, but that’s a small price to pay for having two books out. 6) What do you like to read? Do you read while working on a novel? Favorite authors? I read constantly, and I have many favorite authors. I’m a huge fan of Michael Chabon. I’ve just read a really strong memoir, Stranger in the Pen, by Mohamed Asem–this is a must-read for anyone who wants to understand what it’s like to be treated as “other” in today’s hyper-politicized world. 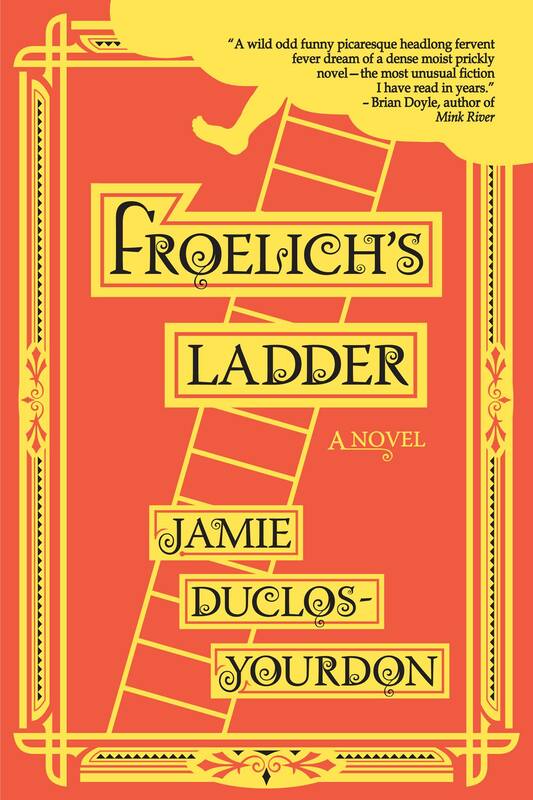 I love Alice Munro, Gabriel Garcia Marquez, Anthony Doerr, Annie Proulx. I just finished An American Marriage, by Tayari Jones–terrific novel. Right now I’m two thirds through Cai Emmons’ Weather Woman, and really digging it. There are some writers whose voice is so particular and so strong that I avoid reading them when I’m working on a piece. Cormac McCarthy would be an example, as would Tom Spanbauer. I love their work, but it gets into my head and I start sounding like them. 7) What was the best advice you received as a writer? The worst? I have a friend who’s a professional photographer. He told me one time (long ago, when cameras still used film) that the biggest difference between him and me as photographers was that he shot a lot more film. Writing is like that. You just keep doing it and doing it and gradually you get better. It takes most of us a long time to get to be good enough, years and years. Worst advice: give up. This bad advice came from myself. Many years ago I got really discouraged about my writing, so I very quietly quit for two months. I didn’t tell anyone–I just stopped doing it. I thought I might be happier if I just stopped calling myself a writer–after all, I had nothing to show for it except a couple of short stories published in some very obscure journals. When friends and family asked me how my writing was going I felt embarrassed–who was I to call myself a writer? But after two months I was even more unhappy, so I started writing again. I called time on a novel I had worked on for five years, setting it aside, and I turned my attention to writing short stories. The stories I wrote then became A Simplified Map of the Real World. Close readings of writers I admire. I still read, as I always have, for entertainment and edification. But when I read now I always have a second track going in my head, one where I’m noticing how a writer is going about her business. Cai Emmons, for example, whom I’m reading now, has given us a superhero story in Weather Woman, but she treats her character’s story in completely realistic terms. She’s not ironic in any way, so her central metaphor, one of female empowerment, comes shining through with the seriousness it deserves. And Cai is a first class word nerd, something which I, as a fellow word nerd, really admire. I now know that “strigine”, for example, means ‘owl-like’. I can’t wait to use that one in a Scrabble game. I have rituals and habits. I sit at a desk. I have an old-fashioned desk calendar, and I change the date and the day of the week before I start. I have a prayer I say before I write. I light candles. I have extensive notes for another novel. I hope to begin soon. Spend more time with my mother. She died suddenly 25 years ago. I still miss her. Be kind to yourself. Learn to live with your own bad writing. It is far easier to improve a bad sentence than it is to write a good one in the first place. I love wearing a tie, and I have a couple of hundred. Lately I’ve grown very fond of Crocs. I like my ties and my Crocs to color coordinate. The Alehouse at the End of the World is widely available in bookstores and online. The audiobook, with me as the reader, came out December 18, and it’s a lot of fun. The fisherman is a simple man: he loves the sea and he loves his Cariña, from whom he’s been separated by time and shipwreck. Upon receipt of her final letter to him before her death, he embarks on a mythic hero’s journey to the Isle of the Dead, where he encounters shapeshifting birds, demi-deities, a legendary beast, and a snarky, narcissistic crow who fashions himself the king of the dead. What began as a quest to reunite with his lost love quickly becomes a battle for the survival of a spirit world, in whatever form that might take, and an examination of the divine. Sparked with risqué humor, the nearly Sisyphian questing of the fisherman devolves into a series of increasingly absurd and astonishing scenarios, all underscored with a strong thematic element of hope. Scholars of myth and lore, and readers prepared to be swept away on someone else’s trip (perhaps of the hallucinogenic variety), will be enthralled. This entry was posted in 15 Things, year 2019 archives and tagged Forest Avenue Press, Oregon writers, Writing. I’ve been quiet and you probably think I fell into the ocean or got blown away by coastal storms. But no, I’m still here, learning all I can about my new home. The reason I’ve been silent is that I’ve been busy. For a tiny dot on the map between Yachats and Lincoln City, Newport’s population is about the same as the town I left in Idaho. If you want a Costco or a Lowe’s you have to drive several miles, just like I did in Idaho. But unlike the town I left behind, there is so much more to do here I barely have time to read, let alone write. 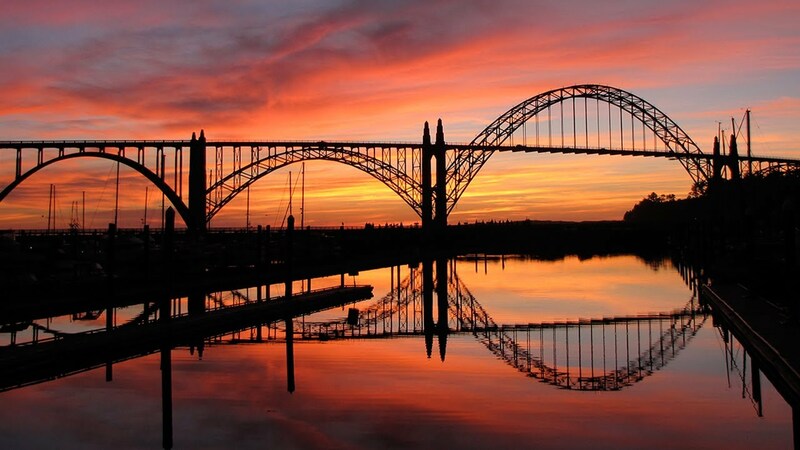 Check out the latest issue of Oregon Coast Today and you will see there is always something going on. Add to that everything happening in The Valley between here and Portland and there is no time to be bored. Ever. Take for instance last weekend. Since I don’t like to drive Portland traffic my son quietly obliged, taking me to Portland’s annual book festival Wordstock. I was so revitalized I’m still vibrating. 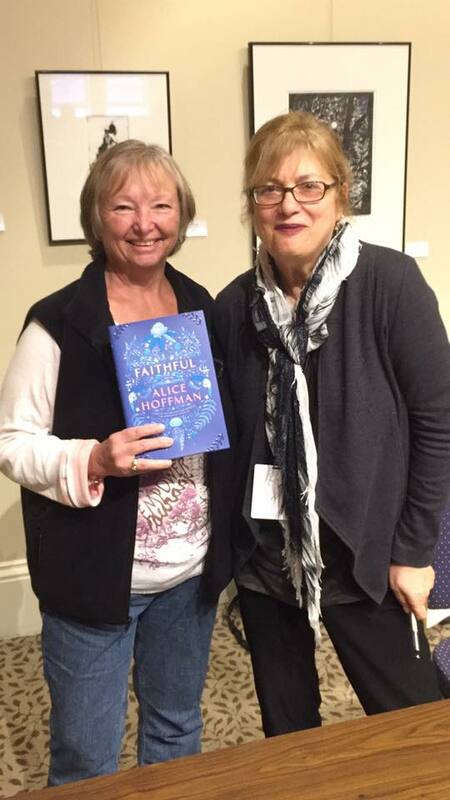 My favorite author, Alice Hoffman, was in town and spoke about her new book Faithful. She even signed my copy and thanked me for stopping by. 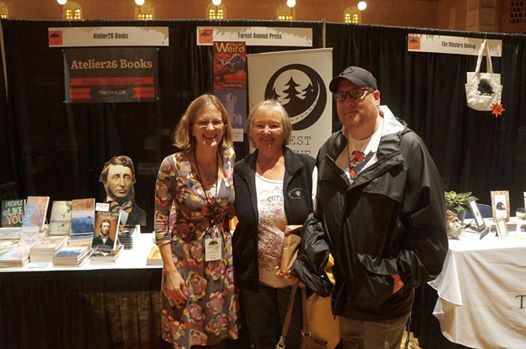 So many other talented writers attended, not to mention many Oregon presses including Ooligan Press, Tin House, and my favorite, Laura Stanfill from Forest Avenue Press. 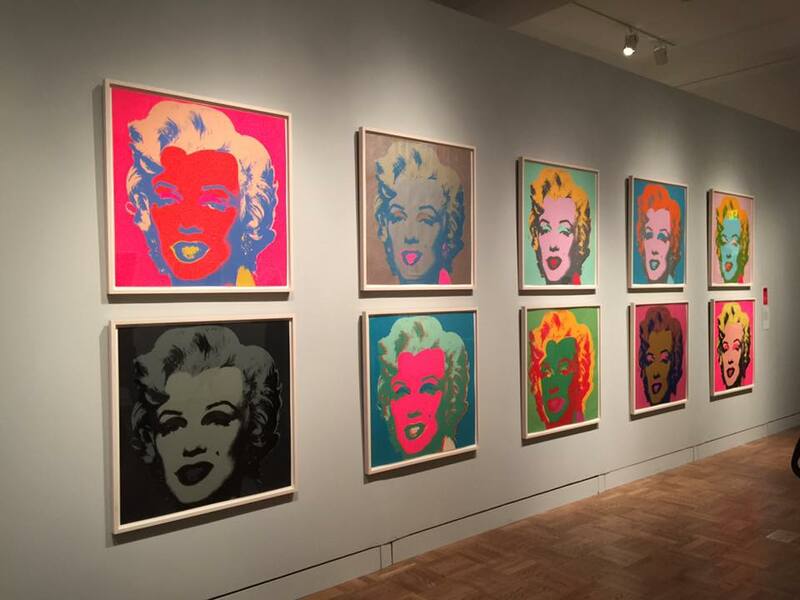 If that wasn’t great enough, admission to the event included admittance to the Portland Art Museum and the Andy Warhol exhibit. Now my son was vibrating, snapping pictures and studying one-of-a-kind art. Yes, it was raining. But in spite of the rain, it was a positive, energizing day. 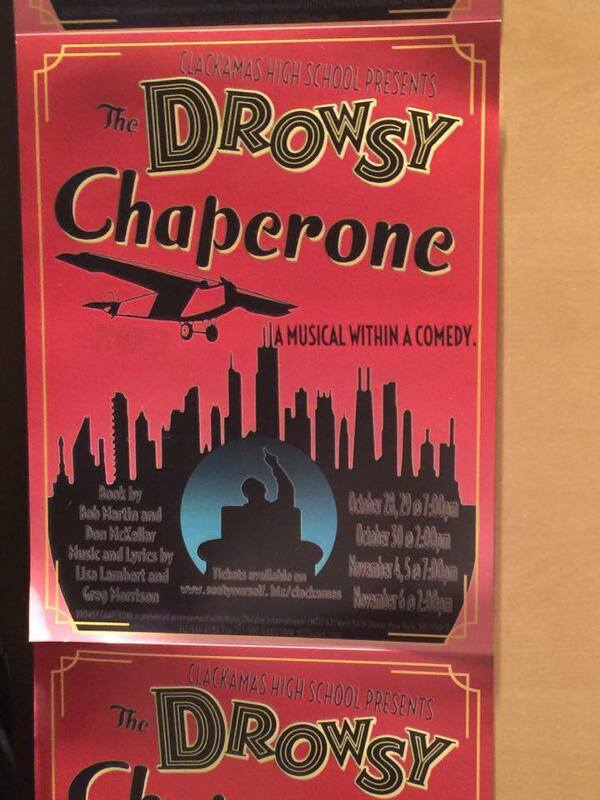 That evening my family took in The Drowsy Chaperone, a musical put on by my grandson Dante’s high school class. The students were top notch, high energy, and amazing. The day ended with dinner at The Ram and a glass of wine. Perfect. Many people told me I was crazy to move to Oregon. Several said I’d get depressed and miss the sun. And even though I miss my friends in Idaho, and sometimes I do miss the sun, mostly I love it here. Even when it’s raining. This entry was posted in Bonnie's Blog, Events, Transitioning, year 2016 archives and tagged Alice Hoffman, Andy Warhol, Bonnie Dodge, Faithful, Forest Avenue Press, Idaho, Laura Stanfill, Newport, Ooligan Press, Oregon coast, Oregon Coast Today, Portland Art Museum, Portland Oregon, The Drowsy Chaperone, The Ram, Tin House.